If there’s one thing I know about artists, it’s that we love experimenting with a new medium or technique. So we were thrilled when HP contacted us to try out their new creative workstation called Sprout. My fellow DIY blogger Lauren and I collaborated on today’s project and were able to use the Sprout to make the whole blogging process go faster! We started out by using Sprout as jumping off point to quickly make mock-ups to see what color sweatshirt, bear shape, and font looked best together. 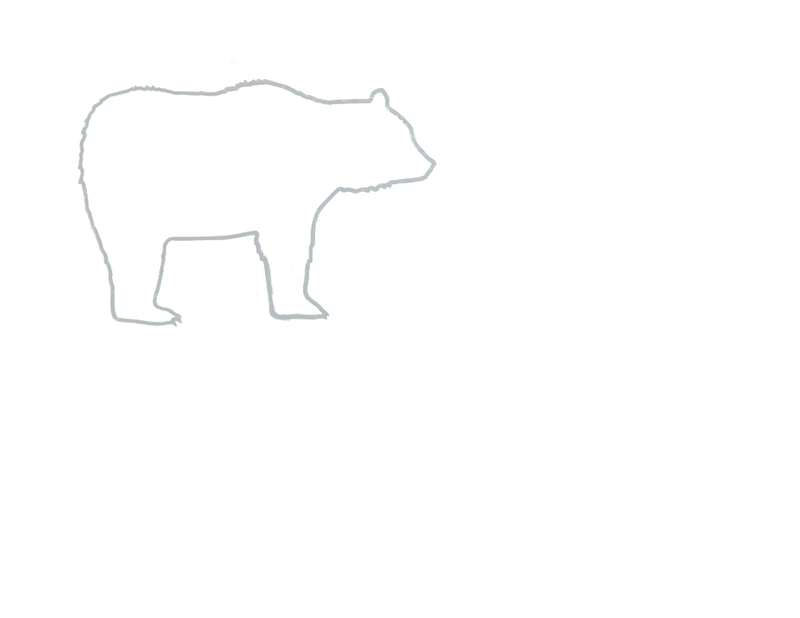 We then used it to create the final bear templates that you see here in the post. With the Sprout it was so easy to drag and drop different sweatshirt options and bear shape options into our project and then use their font tool try out different fonts. So what is Sprout really? The base is the normal amazing HP computer (all touchscreen) and what makes it a “Sprout” is this extra software package it comes with. This extra software included is an amazing highly responsive touchpad that clicks into the computer that you can use a stylus on or just your fingers, and a high-res scanner/camera that is attached at the top of the computer. The touchpad comes with creative software to make any number of creative projects like collages, mood boards, invitations, drawings, fine art, and more. One of the most fun things about this new software to me is how easy it is drag and drop images from the Internet to use or images from the scanner. With my old scanner, an item had to be flat to be scanned, but now with the Sprout I can scan in any object that might bring inspiration to a project. I so appreciate what HP is doing to rethink how art is made, and how to combine art and technology. They are truly pioneering a whole new way for artists to work, and I can’t wait to see what they come out with next! 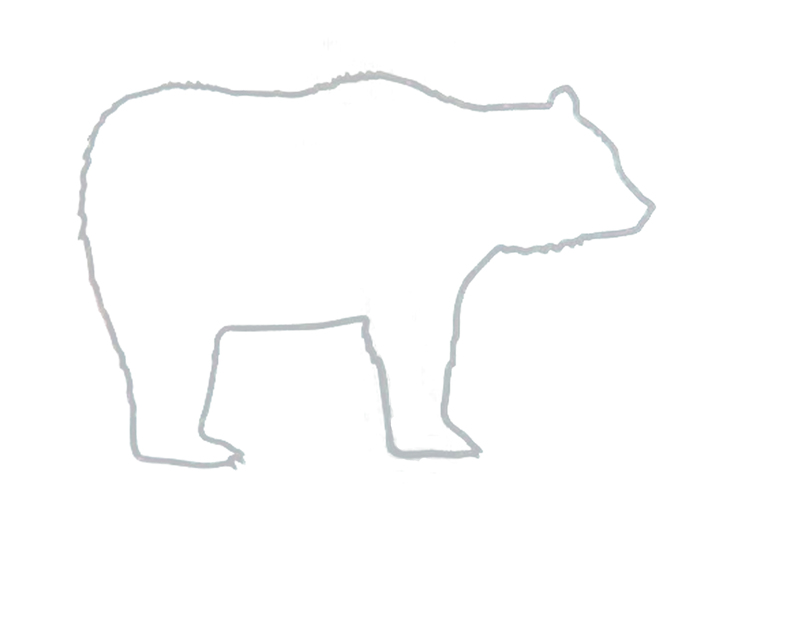 Begin by printing off and cutting out your 2 bear templates. Lay them on your fabric and pin in place. I chose to lay the bears at a diagonal to the tartan plaid pattern. Carefully cut around each bear. Place bear in desired location on each sweatshirt. I tried the sweatshirt on to make sure I was happy with the placement. Insert pins around the fabric surrounding the bear, to mark the spot where the bear will end up. Remove the bear and spray the back of the fabric with spray adhesive. Be sure to do this in a well ventalated area and with a scrap piece of cardboard behind the bear. Quickly place bear back on the sweatshirt in the place marked by the pins. Press around all edges to secure in place. For added security and to create a cute border around the bear, sew an outline around the edge of the bear shape. This is an optional step but will probably help keep the bear in place when washed. Now for the tricky part! Lay out your sequin trim on top of the bear spelling 'baby' and 'mama'. Using a glue gun carefuly lift and glue down your letters. This part took a little time and patience. You really only have one shot of getting this right, so take your time! I found the more cursive writing of 'baby' to turn out better than my 'mama' bear. Trial and error I suppose! Overall I think the outcome is pretty cute! Usually I don't like to match anyone in the room, but this I will take! I'm proud to coordinate with my sweet girl and SO excited we were able to utilize Sprout to make it happen! This post has been created in collaboration with HP, but opinions are entirely our own. Thank you for supporting the brands that help keep Camp Makery going! Check us out on Pinterest and be sure to follow us on Twitter!